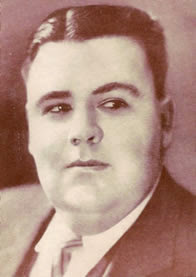 Frank Munn (1895-1953) was a popular singer on radio and records from the 1920s to the 1940s. He possessed a smooth, melodious tenor . The American Album of Familiar Music was a radio program of popular music broadcast from 1931 to 1951, first on NBC and then on ABC. Directed by James Haupt, the show was produced by Frank and Anne Hummert, better remembered today for creating Ma Perkins and other soap operas. Sponsored by Bayer Aspirin, the show highlighted performances by a variety of vocalists, instrumentalists and vocal groups. When it began October 11, 1931 on NBC, the lead vocalist was Frank Munn, one of early radio's top stars because of his previous appearances on The Palmolive Hour (1927-31). Ring Lardner observed, "Under any name, they sound as sweet." Lardner outlined his "perfect radio program" for The New Yorker magazine, and found a place for The Revelers along with Paul Whiteman and Fanny Brice. In the late 1930s, Munn was joined on the program by soprano Jean Dickenson (1937-51), "Nightingale of the Airwaves." Another co-star with Munn during that period was Lucy Monroe, who sang The Star-Spangled Banner at every New York Yankees opening day and every Yankees World Series between 1945 and 1960. 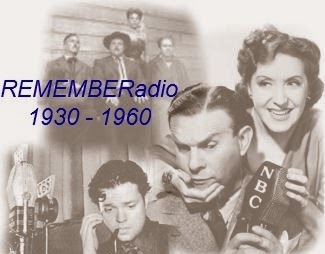 The Palmolive Hour was a critically acclaimed radio concert hour in the USA, sponsored by Palmolive Soap and broadcast on NBC from December 9, 1927 to July 29, 1931. The Palmolive Musical Stock Company (aka the Palmolivers) offered a mix of jazz, show tunes and opera selections. The program usually opened with a duet by Frank Munn and soprano Virginia Rea. To call attention to the sponsor's product, they did not appear on the program under their own names but instead were introduced each week as Paul Oliver and Olive Palmer. Contralto Elizabeth Lennox was featured in duets with Rea. Gus Haenschen led the orchestra with Frank Black at the piano.